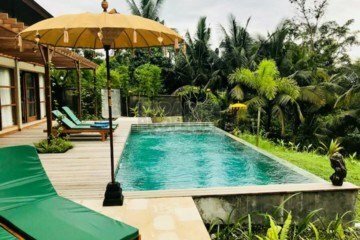 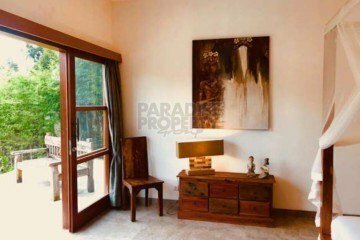 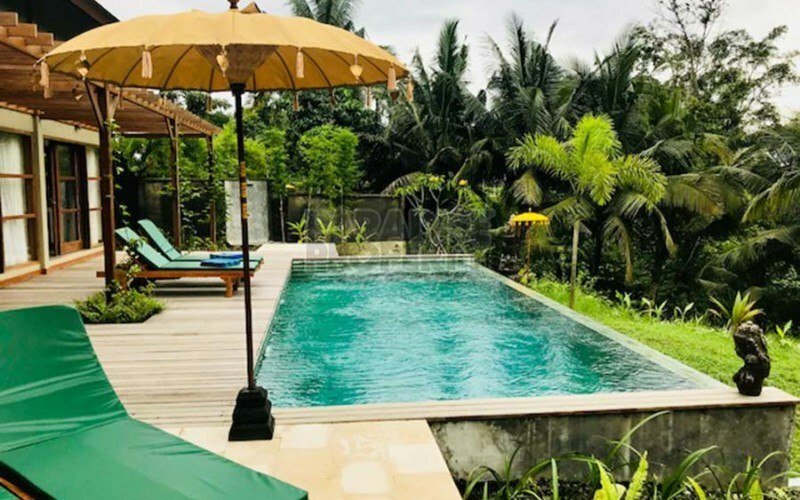 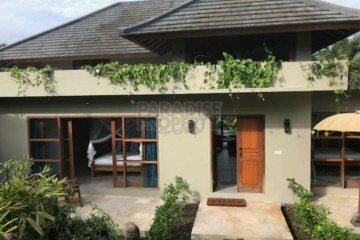 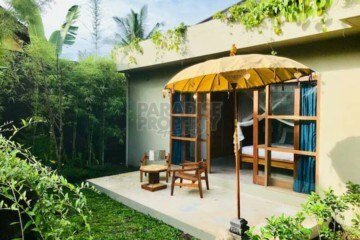 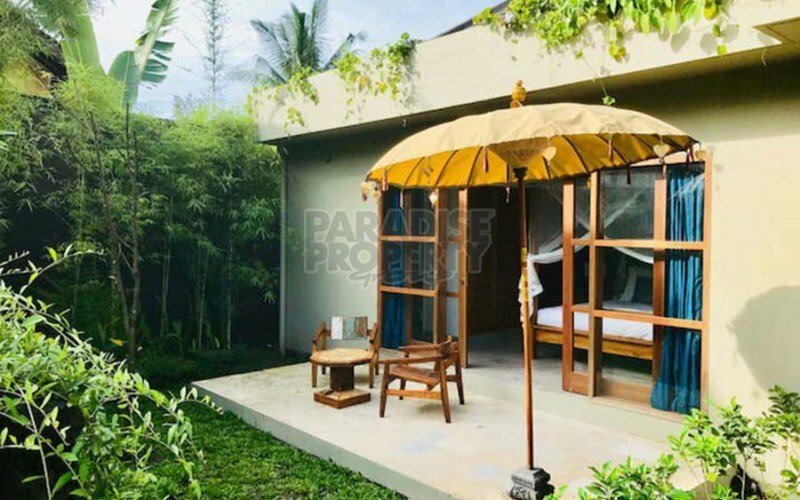 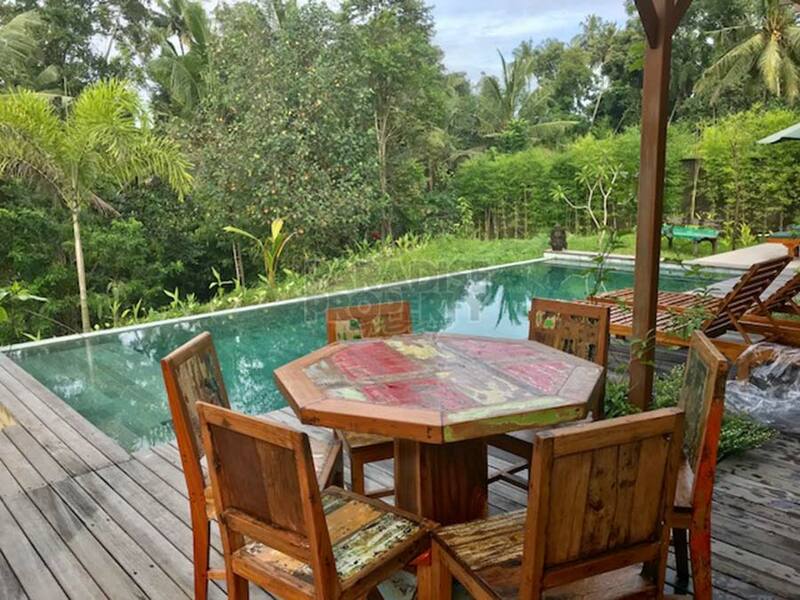 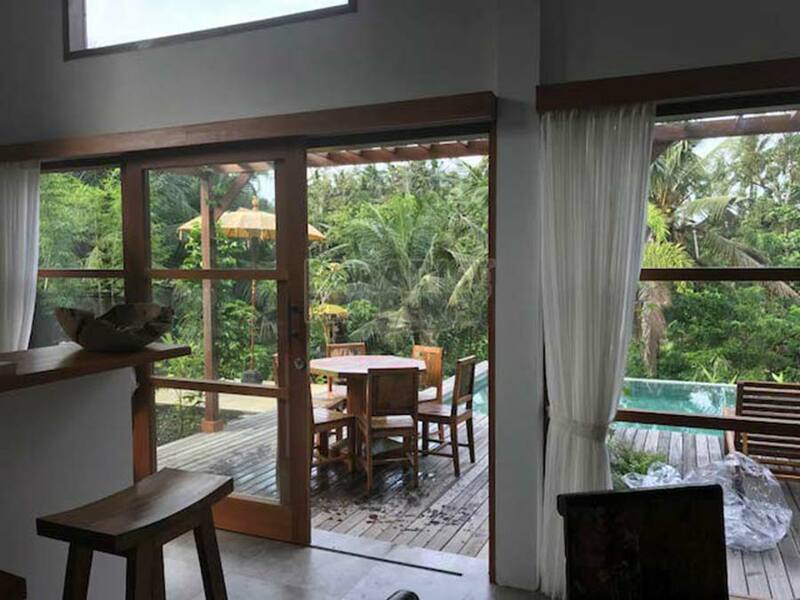 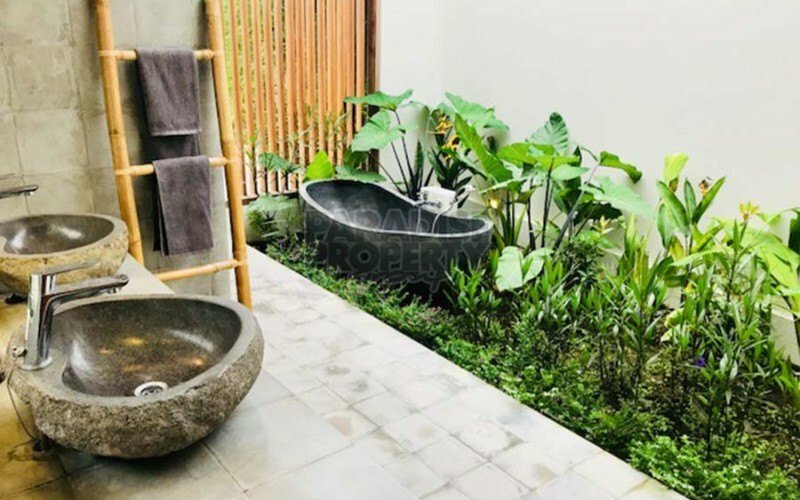 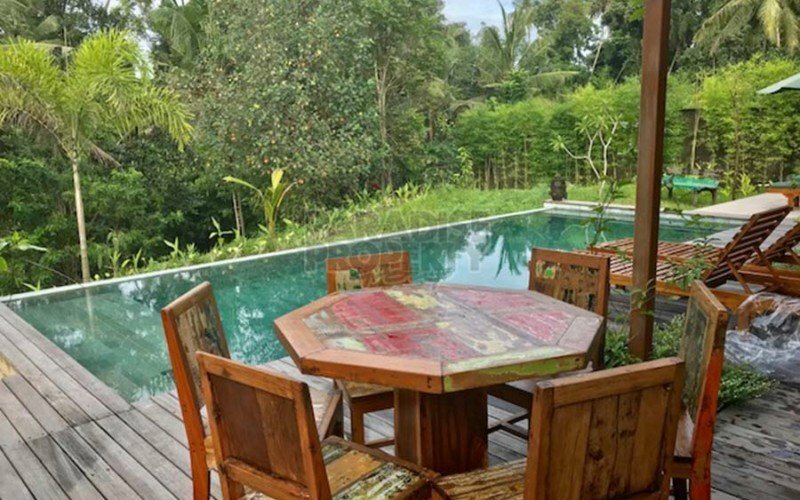 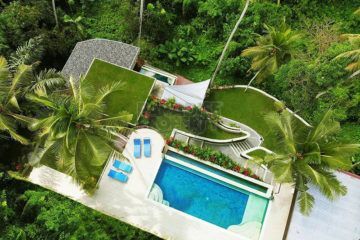 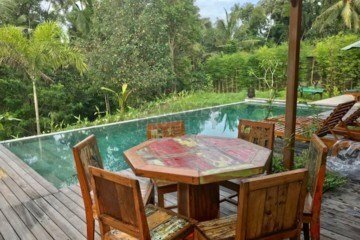 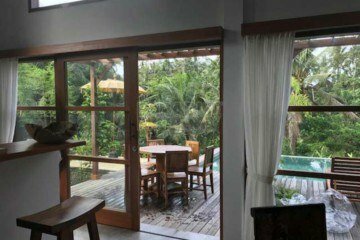 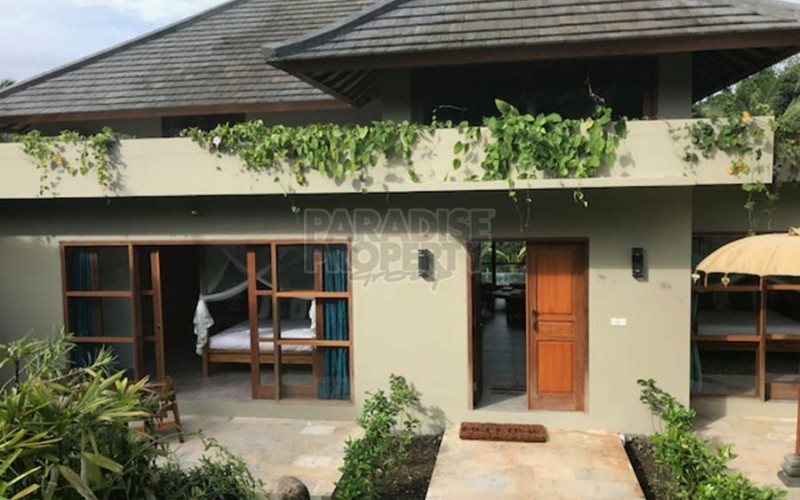 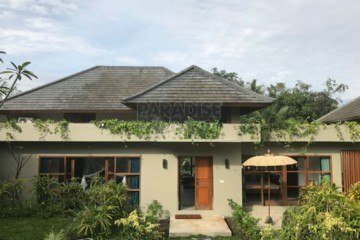 This small villa complex comprises of 3 villas and is reached within 10 minutes from the center of Ubud. 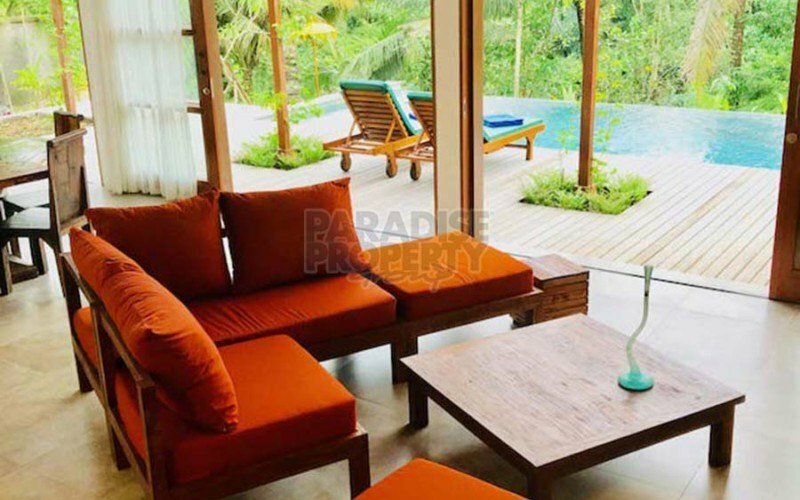 Located in a quiet natural surrounding with beautiful views from each of the villas. 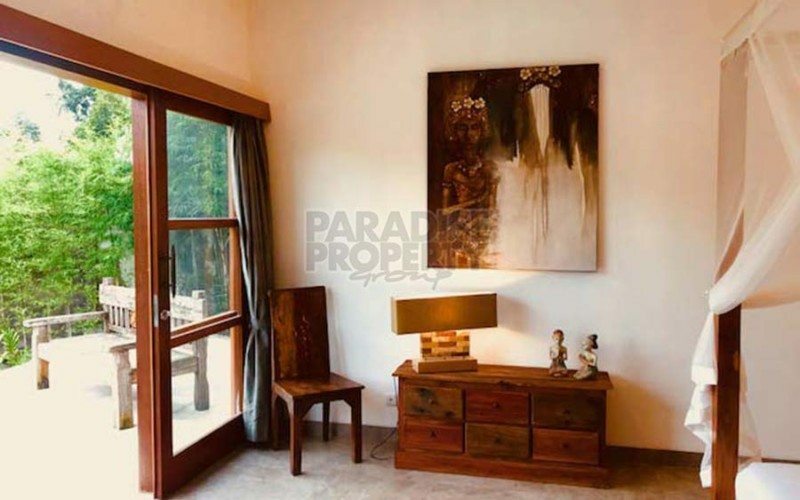 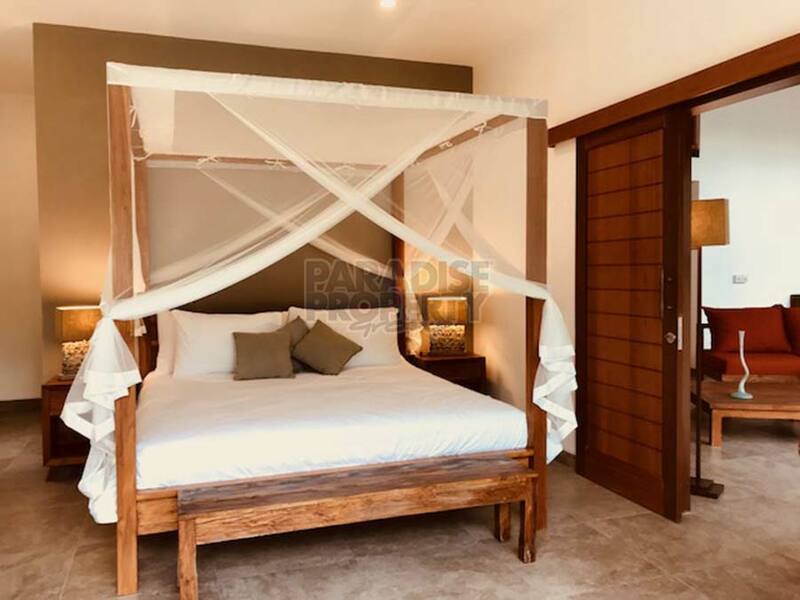 Built to high western standards, all villas are equally equipped and furnished, and comprise of 3 bedrooms with en-suite bathrooms, an open kitchen and living area as well as a mezzanine level which can be used as an office, play area for children, art studio or yoga space. 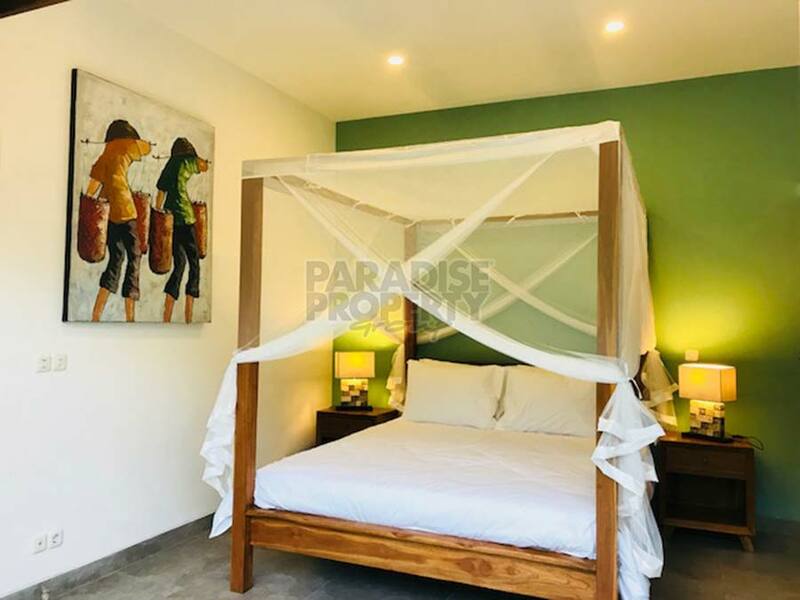 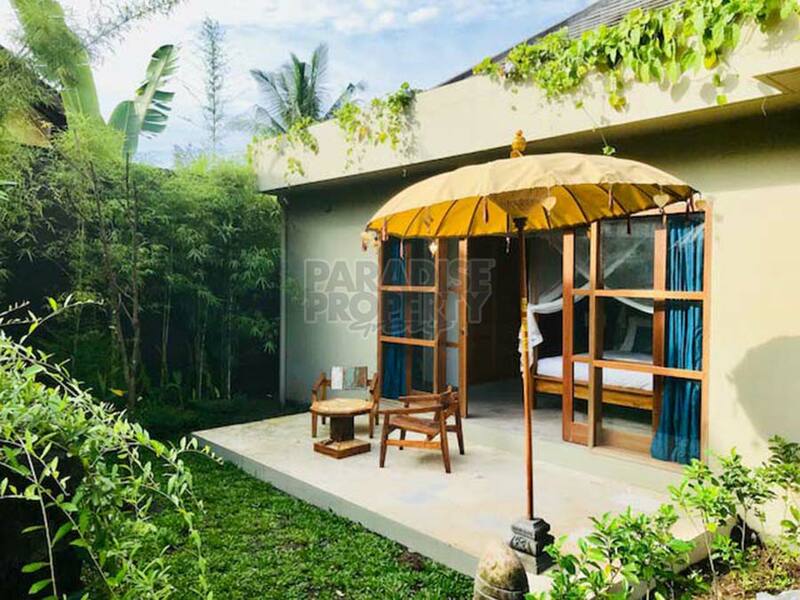 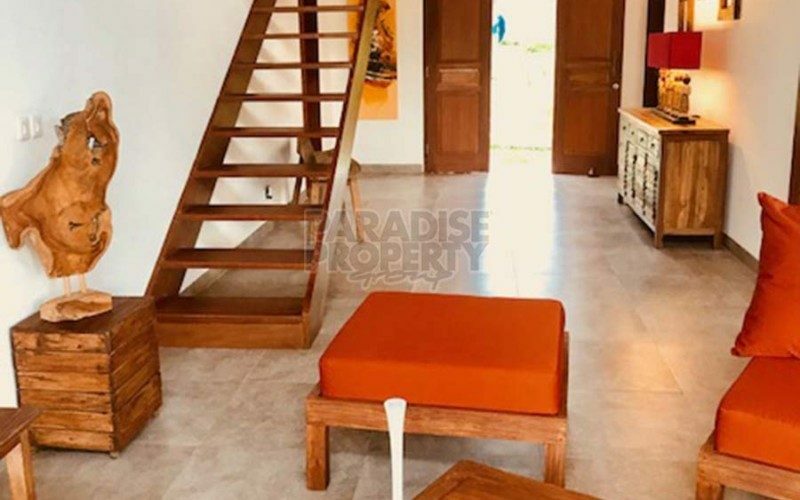 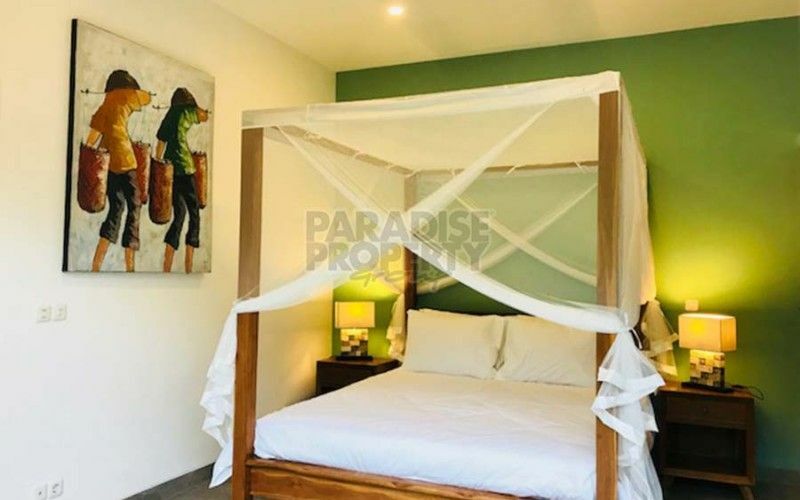 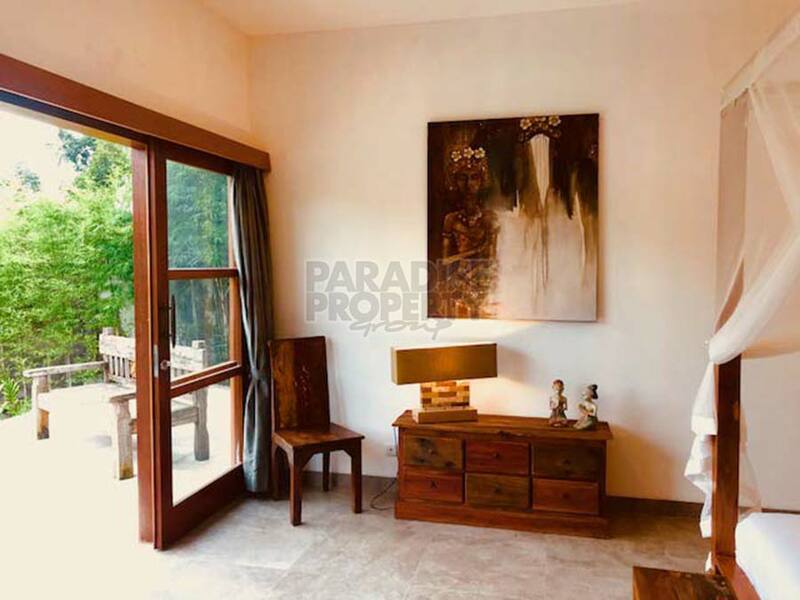 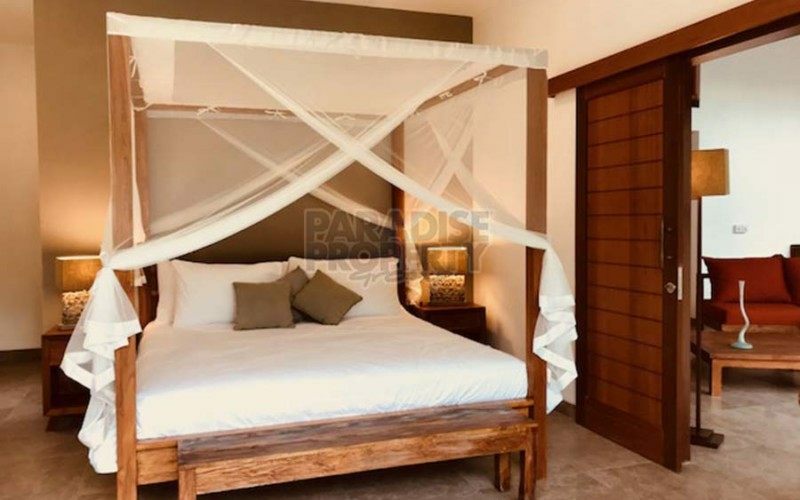 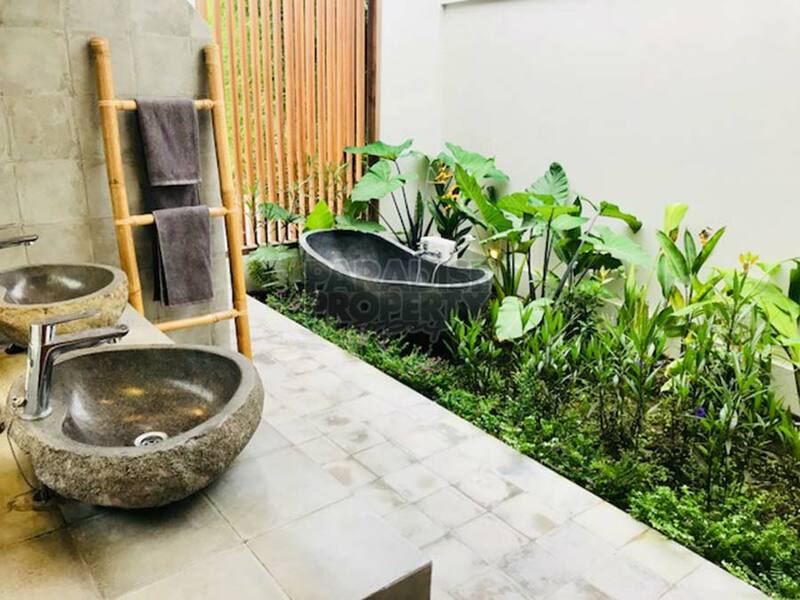 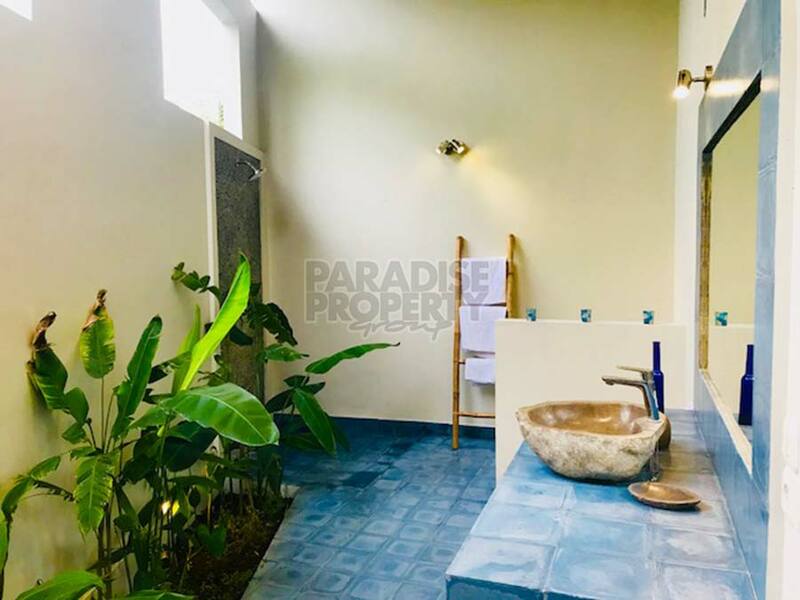 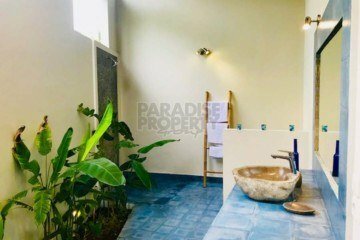 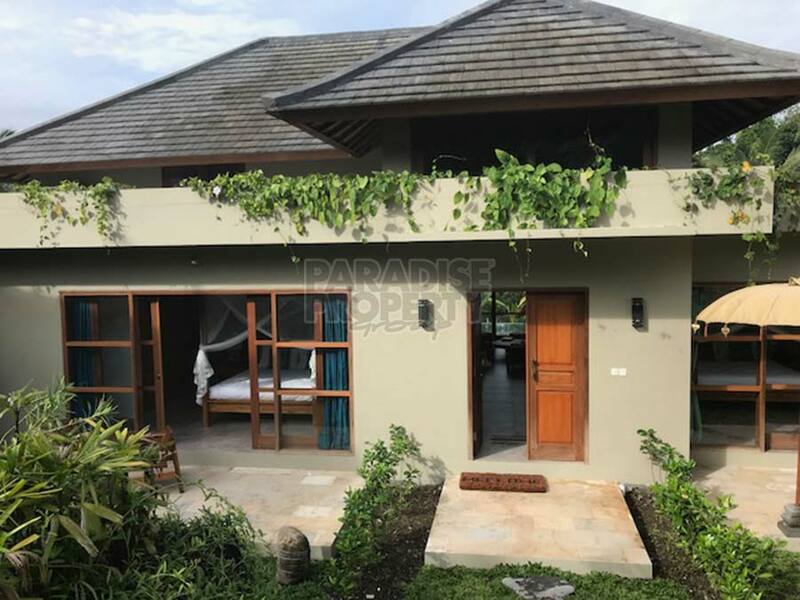 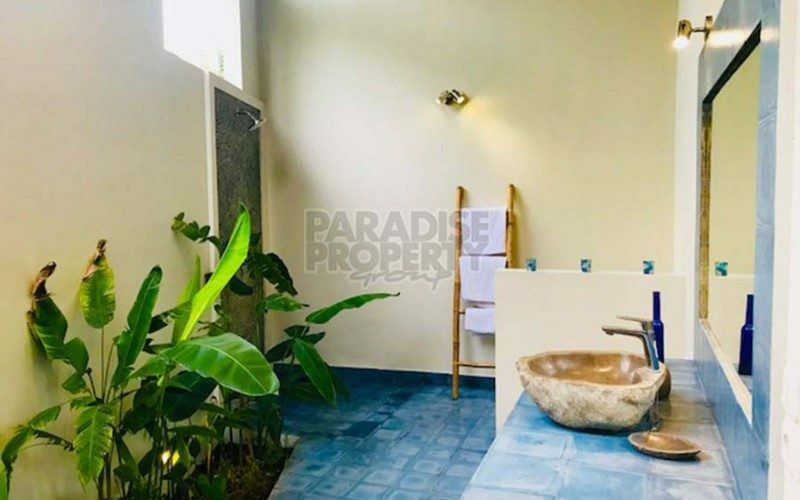 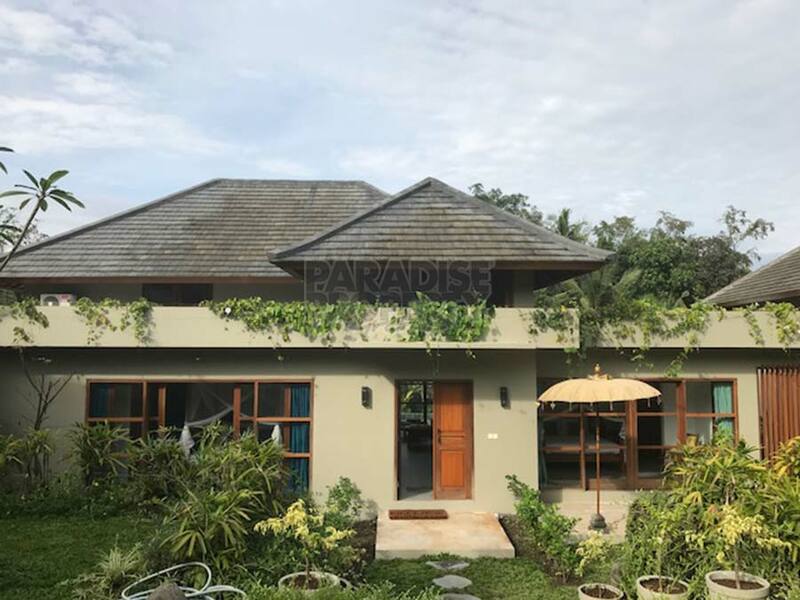 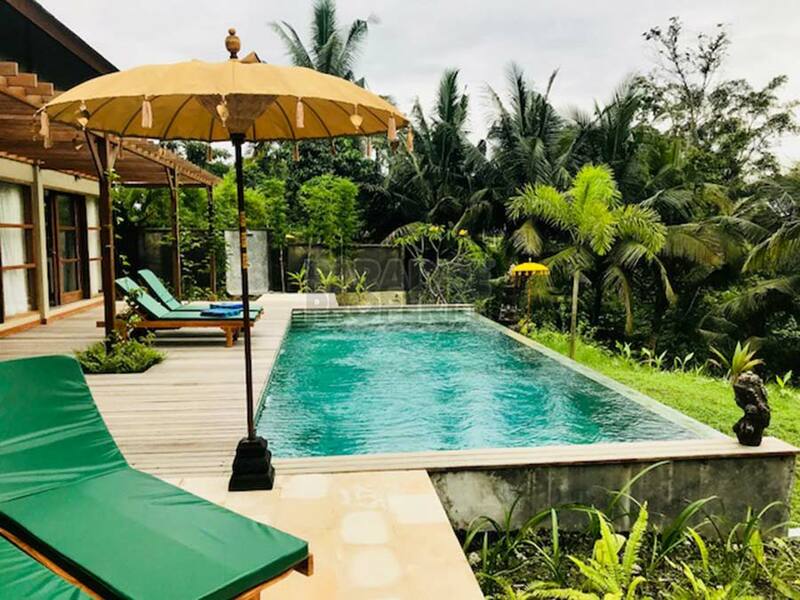 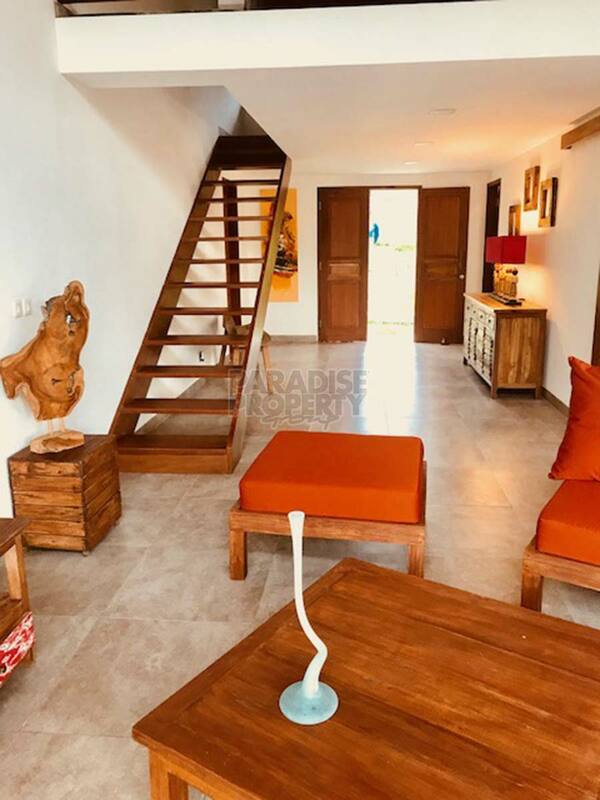 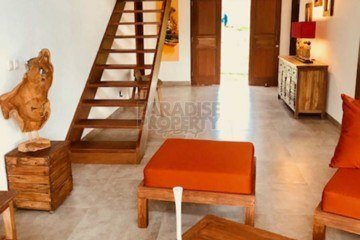 High quality materials are used throughout – floors are of ceramic tiles in the living area and bedrooms with colorful terracotta tiles in the bathrooms, the sundecks are made of Bangkerai wooden planks, and the sliding doors have wooden frames and open up to the terrace and pool. 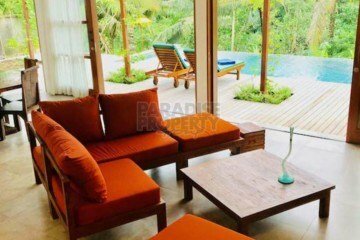 Stylish and comfortable furniture and all amenities for modern living are available and included in the price. 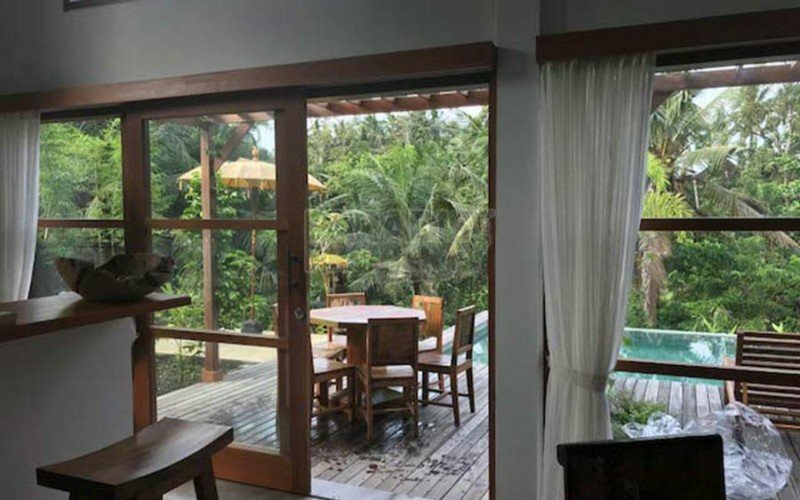 Each villa has parking for 2 cars and several motorbikes. 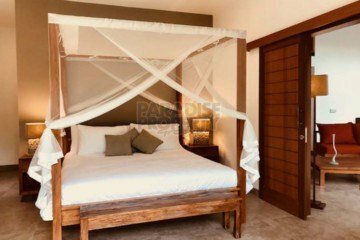 Wifi is available and all bedrooms have air conditioning. 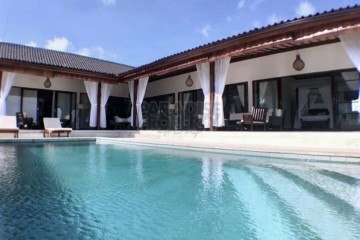 These villas are offered with a lease period until November 2044 with an option to extend.